George Ellwanger, A Man of Horticulture. A Man of Heart. “Seldom has the span of human life given a record of accomplishment equal to that of our late associate, George Ellwanger. The history of his life for nearly 70 years is almost inseparable from that of the City of Rochester. His contributions of time, money, and thought toward the city’s beauty, its material and moral advancement, have been equaled by few and exceeded by none of her many public-spirited citizens.” —excerpt from his obituary. A stroll through Mount Hope Cemetery will take you through picturesque landscapes adorned with trees and gravestones. Along the area bordering Mount Hope Avenue, you may look up and see a beautiful marble sculpture of a seated man, poised with pen in hand and book on which to write, looking up as though gathering inspiration from the heavens. By his side is a noble eagle and beneath, a quote from the Bible, “I heard a voice from heaven… .” (St. John holds his pen poised to write the Book of Revelation. Sculpture created by the famous Italian sculptor, Nicola Cantalamessa-Papotti). This is the family plot of George Ellwanger, who left this stone along with many other lasting gifts of beauty to the city of Rochester. Among his major contributions was cofounding the Mount Hope Nurseries, which became the largest establishment of its kind in America. The statue looks over land that once belonged to this nursery. Ellwanger’s dedication, supplemented by his investment of time and finances, provided him with a long, successful life and a city forever grateful for his patronage. The story of George Ellwanger begins with his birth on December 2, 1816 in the town of Grossheppach, Germany. Farmland there was suited for vineyards, and George grew up tending grapes and making wine his father and brothers. Business was never plentiful due to devastation from the Napoleonic wars, frequency of frost and hailstorms, and an uncertain market for goods. At the end of the wars in 1815, lower classes in Germany were excluded from plans for social reform, leaving them devastated and helpless. German farmers were released from dues to landowners, but with this freedom were left impoverished and starving. Despite bleak conditions, the love George had for nature and horticulture flourished. As George grew, he knew that he must leave Germany if he were to succeed. He wrote, “In reading papers on America, my attention was drawn to that land of promise beyond the sea, and I accordingly resolved, as soon as possible to emigrate thither, to try my fortunes for myself.” In preparation, following his liberal arts education in primary school, he studied for four years in a leading horticultural institution in Stuttgart in 1830. Here, he apprenticed under a leading nurseryman and florist, thus becoming knowledgeable to start a new life in the West. He worked from sunrise to sunset without pay and actually had to pay $40 for this training. In 1835, George emigrated from Germany to the United States on a 62-day voyage, landing at Staten Island on June 24. Upon arrival in America, George set out for Tiffin, Ohio, where he stayed with an uncle for one summer, hoping to master the English language. He traveled via the Erie Canal and on the way, the boat made a stop at the “infant city on the Genesee.” Rochester’s luscious vegetation and favorable location for a horticultural establishment was of special interest to Ellwanger. 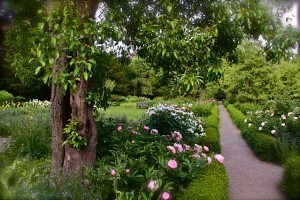 Other reasons made Rochester an ideal place for horticulture. The Erie Canal made the city highly accessible to the West, and steamboats on Lake Ontario connected Rochester to Canada. In September 1835, Ellwanger returned to the village he could not forget. Though challenged by limited knowledge of English, he sought employment in Reynolds and Bateham Rochester Seed Store and Horticultural Repository and quickly assumed charge of the entire nursery in the spring of 1836. In 1838, the partnership of Reynolds and Bateham dissolved, and George purchased the business. In 1839, he invested in the first eight acres that became the heart of Mount Hope Nurseries along with a very select collection of fruit trees. This collection, purchased on March 24, 1839, consisted of two primroses, one hyacinth, one hydrangea, one verbena, and one sweet marjoram. This investment was made with a preliminary partnership with Thomas Rogers, a mulberry tree salesman from the East. Ellwanger called it the best investment he ever made. At this point, Ellwanger’s life became intertwined with that of Patrick Barry, an Irish immigrant. By 1840, his relationship with Rogers showed little progress. Ellwanger bought out his partner and posted a small advertisement on the back page of the April 1840 edition of New Genesee Farmer and Gardener’s Journal. A new and stronger partnership was created with Patrick Barry, who was a more experienced horticulturist. According to Ellwanger’s future granddaughter, Helen, the partners were an “unlikely duo.” While Barry was Democratic, Ellwanger was Republican; while Barry was Catholic, Ellwanger was Lutheran; while Barry was Irish, Ellwanger was German. Yet, despite the differences between them, Ellwanger claimed that they worked harmoniously and remained good friends until Barry’s death in 1890. 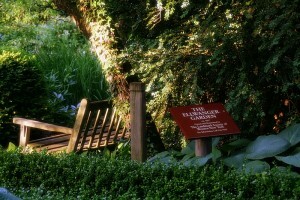 Along with superior horticultural techniques, George Ellwanger brought his German culture to share with the New World. On October 18, 1840, he became an official American citizen. A little over a year later, he introduced a traditional German custom that was unknown here: the Christmas tree. In front of a German Lutheran church on Grove Street, hundreds of Rochester’s citizens came out to see a lighted and decorated tree. In an interview with the Democrat and Chronicle, Ellwanger said, “We always had it [a Christmas tree] in every Christian family in the Fatherland. It was the Christmas of 1841 or 1842, I don’t just recollect which, that we had a tree in the old German Lutheran church on Grove Street. We invited everyone who had never seen a Christmas tree, and explained its meaning to them. It was a big green tree, all lighted up with candles, and the people were amazed and very much pleased at its appearance. We had an address on the occasion, telling of the custom, especially directed to the children. After the first tree, the custom became a yearly one.” This celebration helped turn Christmas from a strictly religious holiday into a familial and social one, demonstrating one of Ellwanger’s contributions that extended beyond his horticultural efforts. The small business grew well and in 1843, Mount Hope Nurseries issued its first public catalogue, the Annual Catalogue of Fruit and Ornamental Trees, Flowering Shrubs and Plants, Bulbous Flower Roots, Green-House Plants, etc., Cultivated and for Sale at the Mt. Hope Botanic Garden and Nursery, Ellwanger & Barry, Proprietors. This success was by no means an easy accomplishment. On August 29, 1841, a hailstorm ravaged Rochester and destroyed much of the nursery’s young stock. The following day, a fire further added to the devastation, consuming greenhouses, office space, and living quarters. Resilience prompted the partners to go back to work with more intensity, taking the little stock they had left, and going to the cities and villages of western New York and Canada in search of customers. From these sales, Mount Hope Nursery was able to defray the costs of the disaster and even increase business. The lack of competition in the area made the nursery popular, and their traveling salesmen were quite successful. By the end of 1843, Ellwanger & Barry had more than doubled in size. A popular idea that transformed the American orchard was dwarf fruit trees, introduced by Ellwanger, making Mount Hope Nursery the first establishment to create and sell them. The dwarf fruit trees were advertised to be convenient; because of their small size, they would easily fit in small gardens, and the fruit that dwarf trees bore would be larger than that from conventional trees. A key component to the success of Mount Hope Nursery was the positive outlook on expansion, as demonstrated by the frequent purchase of land almost every year. This allowed older specimens to mature on older nursery land, while new specimens were planted in newly acquired land. The layout was planned and precisely orchestrated so that the progress of each grove of trees could be monitored, the location of plants expected to have the best stock would be known, and the best and most mature fruit would be conveniently located for visiting customers. Later in 1844, Ellwanger & Barry Nursery opened a branch in West Toronto, Canada, managed by George Leslie, known to be an established seedsman. Ten years later, a second branch opened in Columbus, Ohio that was managed by Michael Bateham, the former co-owner of the Rochester Seed Store and Horticultural Repository, which was the site of Ellwanger’s first employment in Rochester. The original eight acres of the nursery grew to 100 acres within 10 years. By 1856, the established Mount Hope Botanic Garden and Nurseries occupied 400 acres, accompanied by the two branches plus a short-lived branch in Cleveland. In 1871, the nursery reached its largest size of 650 acres. In order to fill the expanse of newly acquired land, Ellwanger and Barry made substantial purchases from Europe. According to Ellwanger, in 1848 a consignment of 11,000 pounds of goods arrived at the nursery. However, this was only second in the list of large purchases by the nursery, for in 1854, $9,657 worth of goods were transported to the nursery in a total of 41 consignments from European nurseries. An eight-page publication, “A Snuffbox Full of Trees,” by Ellwanger’s son, William D. Ellwanger, tells the anecdotal story of a shipment of seeds from California in 1854. In the early 1850s, a man named G. H. Woodruff joined an excursion to the West, hoping to find fortune in the California Gold Rush. After a year of disappointment and failure, Woodruff became destitute and disconsolate. One day, he decided to rest on the forest floor, full of despair, and gazed up to look at the treetops towering over him, admiring their grandeur and beauty. At the time, the tallest trees known were those of California forests, trees known as the grand Gigantea. While resting, Woodruff realized that the giant trees could be much more valuable if they were introduced tothe eastern part of the country. Word of the reputation of Mount Hope Nurseries had spread to California, and Woodruff was aware of their success. He noticed squirrels nearby nibbling at tree cones, and realized that some of the seeds from the cones dropped at his feet, as though it were destiny. He gathered enough of these seeds to fill a snuffbox andmailed it to Rochester via Pony Express, proposing to the nursery that he share in the revenue produced by the trees. Ellwanger and Barry agreed, paying $25 for the first shipment, and began to plant these California seeds. They were carefully seeded under glass and kept at a temperature between 50–60 degrees. The skill and care Ellwanger and Barry put into the development of these seeds produced excellent results; a total of 4,000 seeds grew into healthy plants in three years. Ellwanger and Barry advertised the young trees as “one of the most majestic trees in the world” and sold them for $1– $2 apiece. Surprisingly, the trees did not attract consumers in the East. The nursery turned to advertising in Europe, where the trees became exceedingly popular and in Britain were renamed Wellingtonia. The success was astounding, and true to their word, Ellwanger and Barry sent half of their profits, $1,030.60, to G.H. Woodruff. It is said that he never found any gold, but rather founded the delivery of some of the most important specimen trees in Europe. The talent and success of Ellwanger and Barry’s Mount Hope Nursery were both proudly advertised and widely acclaimed. From the very beginning, their catalogs boasted wide varieties of fruits and trees. Patrick Barry, who along with conducting the business aspect of the nursery, wrote articles on the subject of horticulture, becoming editor of The Genesee Farmer. Patrick Barry used his writing to draw attention to the success and techniques of the nursery, most prominently noted in his book The Fruit Garden, published in 1851. The book highlighted the procedures followed by the nursery that led to its success. Operations continued year-round, and the stock was propagated through budding and grafting. Barry wrote that Ellwanger personally cut each of 800,000 scion buddings in the summer of 1859. Ellwanger and Barry made sure to exhibit the best of their stock at every significant fair. Careful attention was paid to selecting and packing the finest specimens. The founders prioritized these fairs, so that they may be included in unveiling new specimens, announcing enhanced and successful horticultural methods, and selling their plants to observers. At the 1849 New York State Fair in Syracuse, Ellwanger and Barry won seven awards, and at the 1851 state fair, exhibited over 100 varieties of their own pears and apples. At a winter fruit show, Mount Hope Nursery displayed the “greatest variety of winter pears ever shown in the United States.” Ellwanger and Barry took great pride in their pears, which were considered to be the finest and most valuable fruit at the time. After Barry’s death in 1890, the nursery still claimed prizes at the Chicago World’s Fair in 1893 and the Paris Exhibition of 1900. For the Paris Exhibition, the nursery transported 118 varieties of pears across the Atlantic Ocean. Another instance of world recognition occurred when Japan opened communication and trade networks with the western world. The Japanese government made a huge order from the nursery “for all kinds of fruit, ornamental trees, shrubs, roses, and seeds.” A memorandum written by a Japanese Commission noted that Ellwanger & Barry shipped to Yokohama, where the Japanese government was located, a massive assortment of fruit plants and trees that they selected at their own discretion. This collection consisted of “100 varieties of apples standard and dwarf, 75 varieties of pears standard and dwarf, 26 varieties of cherries, 14 varieties of plums, 4 varieties of apricots, 5 varieties of nectarines, 14 of raspberries, 10 of currants, 8 of gooseberries, 30 of grapes, 5 of blackberries and 16 varieties of strawberries.” The diversity of trees and plants available through Mount Hope Nursery was one of the main contributing factors of its acclaim. Ellwanger and Barry, both men of wealth and good intentions, acted as community leaders and philanthropists throughout their lives. Ellwanger was director of both the Union and Flour City banks. He was a trustee of Monroe Savings Bank as well as the Rochester Trust and Safety Deposit Company. He served as a director for the Eastman Kodak Company, the Rochester Gas Company, and the Rochester and Brighton Street Railroad Company. 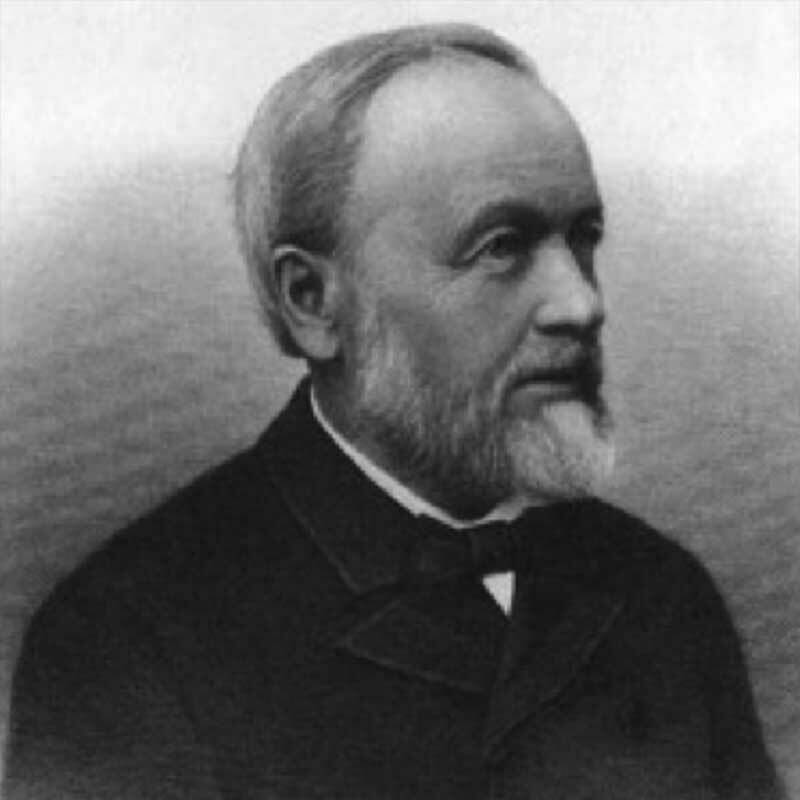 In addition, Ellwanger served as vice-president of the Reynolds library, and held prominent positions in several horticultural organizations. In 1900, Ellwanger honored his home country bydonating land for building the German Home for the Aged. Both Ellwanger and Barry also contributed to the real estate business in the 1850s, creating the Ellwanger & Barry Realty Company. One of the greatest gifts to the city from Ellwanger & Barry involved land that became Highland Park and the establishment of a park system in Rochester. The men donated 22 acres of land that bordered the Highland reservoir in the southeastern edge of the city in 1883. According to a New York Times article, the land contained $2,000 worth of shade trees. But this gift was originally turned down by city leaders, although public opinion was in favor of establishing parks, and Ellwanger and Barry stood firm as park advocates. In 1888,a legislative act created a park system, and the mayor officially accepted Ellwanger & Barry’s donation. Efforts to beautify and further improve Mount Hope Cemetery can also be credited to the nursery. In 1847, on the cemetery’s ten-year anniversary, the nursery endowed 50 rare shade trees in the hope of promoting an increasingly famous and popular cemetery. Some of the gift trees included European Purple Beech, Fern Leaf European Beech, European Weeping Beech, Nikko Fir, and Caucasian Spruce. These trees were strategically planted throughout the older portions of the cemetery and were chosen to complement the original trees. Ellwanger and Barry helped to establish the Rochester-Brighton Street Railroad in 1863, one of the earliest public transportation in the city. This was a horse-car line, allowing the public to travel easily to the outskirts of the city and admire the beauty of both the cemetery and nursery. A trip cost five cents. Mount Hope Cemetery and the nursery became popular sites for family visits, picnics, and walks. Ellwanger and Barry are remembered for their many gifts to the city, and their lives are celebrated for their ardent support of Rochester’s growth and amelioration. It is in Mount Hope Cemetery that George Ellwanger now lays at rest, in Section V, on a hill overlooking the land that was once his passion and livelihood. He died on November 26, 1906, having lived almost 89 years. The stone that marks the Ellwanger family plot sits solemnly where the last of the Ellwangers, Helen Ellwanger, was buried in 1982. George Ellwanger is buried next to his wife, Cornelia Brooks, whom he married in 1846. Years before his death, George Ellwanger visited Rome during a trip to Europe in 1872. There, he came to appreciate the work of world-renowned Italian sculptor, Nicola Cantalamessa-Papotti, and employed him to create his monument. Papotti trained under several sculptors and had a long and successful career. His work is found in both Europe and the United States. Also in Mount Hope Cemetery is another Papotti work, the Weary Pilgrim sculpture, purchased by Aaron Erickson, a wealthy wool merchant, in 1882. In 1878, Patrick Barry also commissioned Papotti to design his family monument, which is located in Holy Sepulchre Cemetery. After George Ellwanger’s death, his magnificent gravestone was kept preserved under a glass-and-wood cover in the winter months. Every spring, the nursery staff removed the cover, but this was forgotten over time. The wood structure began to decay and deteriorate, until it was deemed hazardous. In July 1987, the structure was removed. His stone, now showing signs of wear from the environment, bears his name and the names of his beloved family members. George Ellwanger isremembered for his determination, extensive involvement in Mount Hope Botanical Garden and Nurseries, and investment in the development of the city of Rochester. One could easily find him out in the fields in the early and late hours of the day, making his daily rounds and talking to employees, or in discussion with city and organization leaders about the various improvements to which he contributed. Through his work, Rochester became known as the Flower City, for being the preeminent center of horticulture in the U.S. He was a man who rose from humble beginnings through his determination, hard work, and talent in the fields of horticulture and botany. In his life, he offered direction, prosperity, and beauty to the land that became his home through his leadership and philanthropy. The life and work of George Ellwanger helped to make Rochester the city that stands today, and his essence lives on in the beautiful parks, establishments, and trees that are testaments to his dedication and passion. The private garden of George Ellwanger was established in 1867 and contains over 80 different varieties of perennials, including rare peonies, roses, daylilies, irises, and hostas. It is owned and operated by the Landmark Society of Western New York at 625 Mount Hope Avenue, Rochester, NY. http://ellwangerestate.com/wp-content/uploads/2014/03/ellwanger-logo-340px.png 0 0 The Ellwanger Estate http://ellwangerestate.com/wp-content/uploads/2014/03/ellwanger-logo-340px.png The Ellwanger Estate2015-03-11 12:00:242015-03-11 12:01:48George Ellwanger, A Man of Horticulture. A Man of Heart. We all have gift and talents. The most important thing is to recognize yours. We at the Ellwanger Estate B&B recognize our gifts and talents are in catering to women. As a businesswoman myself, I know that I am interested in creature comforts that suit me as a female traveler: from plush robes to vanity mirrors. So the Ellwanger Estate has gradually been doing more to cater to the female traveler. Everyone wants a safe, comfortable place to sleep, wash up, and maybe get some work done. So how does the Ellwanger Estate cater to women? You find out what they’re looking for and you give it to them. And women want a spa: everything from license massage therapy, thick bathrobes, curved shower-rods, vanity mirrors, book lights, I Pod docking stations, yoga mats, gourmet coffees and teas and satin-covered hangers. There are more and more women in the workplace now and I think we don’t pay enough attention to their needs. By providing such items as fluffy robes, a ladies-only emergency kit containing pantyhose and tampons, make-up removal kit, hair dryers, magazines and large sizes of toiletry products, the Ellwanger Estate B&B has given women more space in their suitcases for shoes. However, it’s not all about superior levels of service and amenities, it’s also about safety. Some concerns, such as safety, are important no matter what your gender. The Ellwanger Estate offers on site parking, steps from the front door. The grounds are surround by a gated stonewall, and a home security system. You have a sense that you are in a secret garden. But it does not end there. Almost every woman I know who travels a lot works out a lot. Just a block from the estate is the Genesee River Trail. This trail runs up to 7 miles with loops from 0.6-2.6 miles along the scenic Genesee River. Great for a run or a stroll. Travelers also expect to be rewarded for their loyalty. Loyalty is huge. So the Ellwanger Estate has a return guest 10% discount. For our return guest, the Ellwanger Estate provides consistency, and the more consistency you can have in your travel, the less disorienting it is. The feeling is welcoming. The look is more European, yet clean and crisp. The response has been “positive, positive, positive.” And yes “The Ellwanger Estate is on my list”.